Hey Space Cadets, I’m doing great and I hope you are too!! Nothing new to report, so I won’t hold you up. Besides, Matthew Wayne Selznick is interesting enough to warrant jumping right into the topic of the day! As promised, today we will talk about my web designer! 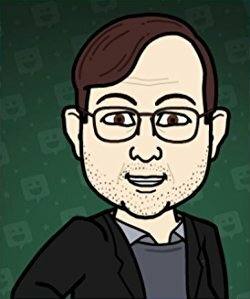 Matthew Wayne Selznick is a friendly guy, who reached out when I was a green author trying to find my way in the wild world of the internet. He was friendly and prompt, and was a pleasure to do business with! After writing about working with him in yesterday’s World Building Wednesday Series I decided a follow-on interview was in order. The myth, the man, the legend! Question: How did you get into working with computers and then specifically with web design? Answer: First of all, thanks for inviting me to do this! I’ve been working with computers since 1991, when the bookstore I worked at, the late, great Fahrenheit 451 in Laguna Beach, California, started using an online ordering system. We had a version of email as well, but that might have been internal. I built my first websites in…probably 1993 or a little later? It was around the time Mosaic came around. I hesitate to call myself a web designer, though – I’m not a graphic designer or visual artist (although I have a good understanding of web usability, typography, and the various visual rules that go into user experience on the web). Web developer, sure! Question: How long before you started working with other authors? Answer: My first clients as a freelancer were other authors. I did developmental editing, in which one offers story coaching and advice, both on the work as a whole and at the line level. This would have been at the turn of the century – 2000. It’s still my favorite work…I’m doing a developmental edit on a new author’s literary novel right now, and I’m always open to help others in that respect. Before that, beginning in 1998, I edited other writers as part of my webzine, Sovereign Serials, which was one of the first web-only fiction magazines featuring a shared world. Question: Do you feel that you bring something different to the table, being a writer yourself? Answer: I do. Everything I do for clients, I’ve done for myself in my career as an independent creator. Thanks to timing, a curious mind, and a DIY / punk rock spirit, I’ve had the honor of being there at the beginning of web publishing (1998), podcasting (2004), and the ebook / indie publishing movement (2005); I taught myself as I went. That hands-on experience, coupled with being a writer, editor, and author, led me to work for a time at a digital marketing agency, where I gained valuable skills helping create, write, and produce online campaigns (usually including websites and apps) for major motion pictures and television shows. Taken together, I can see things from both the creative / authorial side and from the (equally creative) promotion and marketing side. I speak both Writer and Promoter. I’m also very active and engaged with current best practices in the internet marketing space, and I bring lessons from that industry to the table as well. Question: What all services do you offer for those like myself, the technologically challenged? Answer: I call myself a Creative Services Provider, which means I help individuals, small businesses, non-profits, and the occasional movie studio or municipality bring their creative endeavor to fruition, to market, and to an audience. My current client roster as of this writing includes a first-time literary author; a three-time memoirist and podcaster; a true crime blogger; a psychologist; a fine artist; and an online marketer. Broadly stated, I offer writing, website, and virtual assistance services. For more details, I hope folks will check out the Services Page on my website. Question: Yesterday I mentioned that you manage an eZine, would you like to tell us about it? Answer: I’m the creator and editor of Thing, an email literary magazine. Subscriptions are free, or, if you’d like to help pay writers and get an ad-free edition of the magazine, you can become a sustaining subscriber. Thing publishes very short fiction, non-fiction, poetry, essays, and other content. Issues come out ten times a year. Question: How does an author submit to your eZine? Answer: Visit here for submission guidelines, and to submit your work. We pay authors! Question: I’ve mentioned you also write novels, would you care to tell me about them? Answer: I’ve written two novels to date: Brave Men Run and Pilgrimage. They’re the first two novels in the Sovereign Era cycle, and together they form the Charters Duology. The Sovereign Era is an alternate history. In 1985, at the height of the Cold War, individuals with remarkable powers and abilities make themselves known, and the most powerful declares that all of their kind shall be considered sovereigns unto themselves: independent of, but abiding by and co-existing with, the nations of the world. The result is a world even more fraught with tension than before. The Charters Duology shows us the very beginning of the Sovereign Era through the eyes of Nate Charters, a young man with unusual talents who just wants to figure out what the heck he is. To date, the Sovereign Era cycle consists of those two novels, a short story anthology, two short stories, and Hazy Days and Cloudy Nights, an ongoing text and audio fiction serial distributed to subscribers via email. Question: Of all the novels you’ve written, which was your favorite and why? Answer: Well, I’ve only written two, but I do hope to write more…so the only answer I can give you is, “my latest,” whenever and whatever that may be. The reason: every novel should…must…represent a strong and measurable improvement in my ability as a writer and, specifically, as a novelist. If it doesn’t, I’m not challenging myself to grow…and that would be a problem. So, it stands to reason that, so long as I’m doing my job, I’ll always like my latest book more than any others… until the next one comes along. Question: And the usual follow on, who was your favorite character to write and why? Answer: I don’t have favorite characters. Characters are instruments of the story, and, again, if I’m doing my job right, they should each be equally compelling in proportion to the role they have to play. I can tell you that many of my fans really love Nate Charters, the protagonist of those two novels…and I appreciate that. It tells me I did a good job there. Question: And finally, to tie things all together, my last question! If people are interested in finding out more about the services you offer, where can they find you? Answer: Folks can find me and everything I do at my website.. There, you’ll find my blog Scribtotum, where I offer opinion, advice, and recommendations on how to lead a mentally, emotionally, and physically healthy creative writing life. You’ll also find everything you might need to know about my services and my creative works. Once folks are there, I hope they’ll consider joining my community of friends and fans. I’ll send them my first novel, Brave Men Run, absolutely free when they sign up. Thanks again for inviting me to talk! Well, I hope this was entertaining and informative!! –> As usual, all images came from the Google’s “labeled for reuse” section or used with the expressed permission of MWS Media Creative Services. Thanks for enjoying the interview! You’re right, of course… there are all kinds of creativity! Akaluc’s a brilliant blogger, you should check it out and maybe another interview in your future!